Dell Information Management unlocks the value of complex data. The topic of Big Data is overwhelming and overhyped. 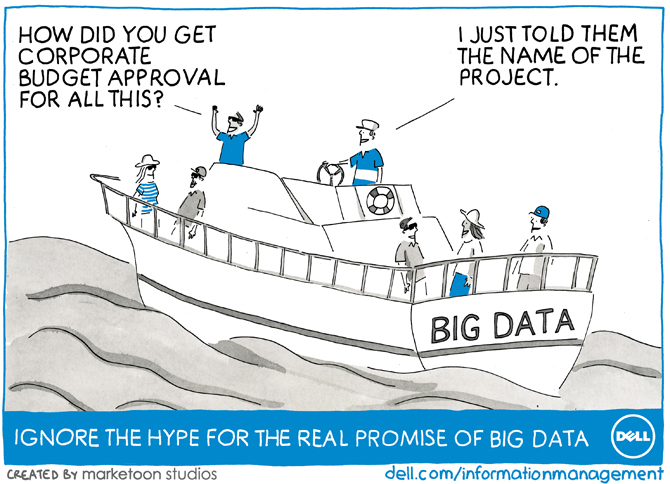 We created a marketoon to parody the hype of Big Data. Dell used the marketoon in social media and customer outreach.